The character of the Garden is shaped by the two main rivers that cut across it, namely the Crocodile and Nels Rivers. Before these two rivers converge in the Garden, they form spectacular waterfalls which can be viewed at the Cascades and the Nels viewpoints. When the Crocodile River is low, interesting geological formations are visible. When in bloom the clivias at the Garden’s main entrance are a beautiful and welcoming sight. Walking through the enchanting African Rain Forest enables one to cross the Crocodile River across the famous suspended bridge, where the cascading waterfall can also be viewed. 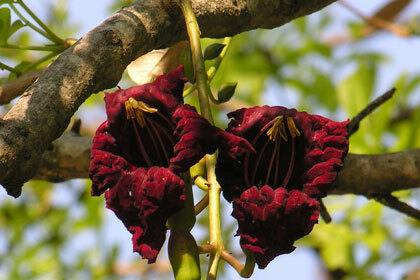 The South African Forest contains fascinating vegetation from the Coastal Belt as well as the Limpopo Province. The Garden plays a critical role in conservation of rare and endangered species and played a pivotal role in establishing the cycad gene bank. The Garden also boasts one of the largest collections of South African fig trees. The mystical baobab tree is famous for its unique shape and medicinal properties. Various plant species have been introduced into the Garden. These include South African coastal species and a unique collection of plants which represent the rapidly disappearing tropical forests of central and west Africa.